Georgia State houses both associate and full professors, but some departments weigh heavier on full professor hires than associate professor hires. This lack of associate professors could possibly result in a faculty management crisis at Georgia State. Associate professors follow both tenure and non-tenure tracks. Tenure tracks allow associate professors a permanent post, while non-tenure tracks do not. Non-tenure tracks allow associate professors to boost their credentials and experience. “We hire every associate professor with the fervent hope that we can work with the new faculty member to retain them, help them build their profile in teaching and research and advance them to higher faculty rates,” Dean of College of Arts and Sciences Sara Rosen said of the college practices. Yet, tenure track options, in addition to student enrollments, are to supposed to help offset the associate professor to full professor ratio. “Rapid growth or decline in student enrollments in a discipline or special hiring priorities can affect the balance of ranks within a department, particularly in the short term. Balance of faculty appointments and ranks is one factor when hiring decisions are made in the college,” Rosen said of the CAS. Tenure incentivizes associate professors to root their career at Georgia State. The university awards associate professors tenure when their department recognizes the “individual faculty member’s demonstrated accomplishments in research, scholarship and/or creative activities,” per Georgia State’s Promotion and Tenure Manual. Factoring in the balance of faculty appointments and ranks could render associate professors’ “achievements in research, scholarship and/or creative activities” obsolete due to Georgia State’s needs. Georgia State’s balancing act within departments could deter — or flat-out deny — associate professors’ aspirations for tenure. Georgia State’s lack of data regarding associate professor leave and department needs suggests an uncertain relationship between associate professors and Georgia State. The School of Public Health differs from the CAS on associate professor hires in that they focus on open rank rather than counteracting the balance of said rank. Associate professor hires in the CAS can take years and requires strategic budgeting. When Georgia State hires an associate professor, they make an investment. There’s time, there’s work, there’s allocated room for promotion. With resources on the line, Georgia State sets up programs to protect their investments. Though programs have been set in place to retain Georgia State associate professors, emphasis on associate professor retention data pales in comparison to Georgia State’s boasted student graduation rate data — attracting praise from humanitarian mogul, Bill Gates. Still, Georgia State’s lack of published data regarding associate professor retention overlooks Georgia State’s management of the professors, who help drive Georgia State’s graduation rates. Recently, the University of Illinois had warned of a “retention crisis” due to stagnating pay and retirement benefits, according to The News-Gazette. Quality was said to erode as faculty numbers lagged and as class sizes grew. 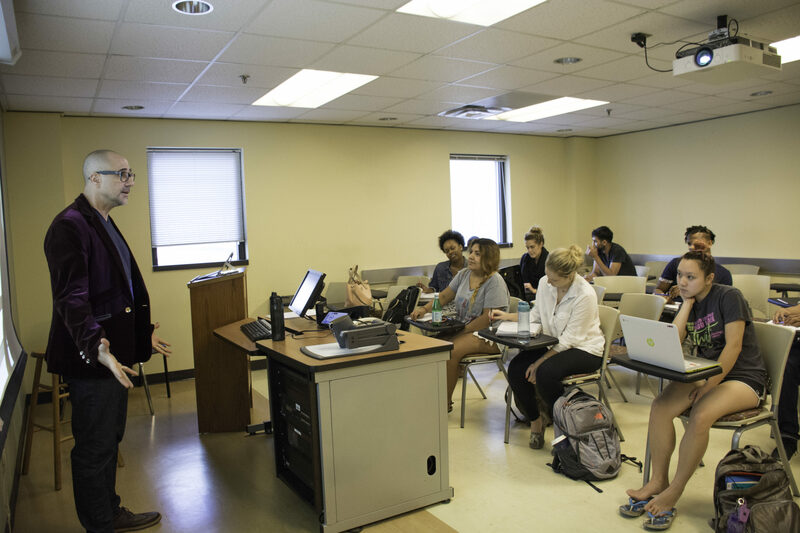 As Georgia State increases in size and student enrollment, the quality of faculty management may be necessary to uphold Georgia State’s upward trajectory in terms of graduation rates and professor retention. For now, Georgia State asserts solid retention rates for the faculty in the arts and sciences at Georgia State compared to universities such as the University of Illinois. “Retention of faculty in Arts and Sciences at Georgia State is generally quite good, particularly compared against other research universities of our caliber,” Rosen said. Yet, with Georgia State reporting record student enrollment, record associate professor retention rates remains to be seen.